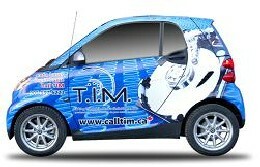 If you are in need of Laptop data recovery in Toronto, T.I.M. Data Recovery of Toronto can help you with any data recovery issue that you will encounter. If you have owned or currently own a laptop, then you know how susceptible they can be to cosmetic and physical damage simply because they are portable and in hostile environments. T.I.M. Data Recovery of Toronto knows just how important your laptop is to you, and if you have the unthinkable happen to your laptop, and you think you have lost all of your valuable information forever, please keep in mind that we are here to provide answers to you without any cost or obligation on your part. T.I.M. Data Recovery offers the most comprehensive and reliable laptop data recovery in Toronto and the surrounding area. Our extensive experience in the laptop recovery field allows us to apply the best procedures for data recovery and we extend this expertise to our customers at reasonable prices. We know how frustrating it can be to lose such valuable information. We offer state of the art laptop recovery in Toronto, laptop recovery in Richmond Hill, laptop recovery in Vaughan, and laptop recovery in the GTA. If you are in need of data recovery for your notebook hard drive our Toronto data recovery service can help. We have been doing data recovery in Toronto for many years, and after our data recovery service evaluation, we will know exactly what needs to be done to get your valuable data back, and present that information to you, to enable you to make a decision. We can recover notebook hard drives in Toronto. We can also recover notebook hard drives in Richmond Hill and we can recover notebook hard drives in Vaughan. We have a “no data, no charge” guarantee. We can work with any operating system, such as Windows, Linux, and Mac, among others. We can work with any make and model. We can help with any kind of drive.